Intentions and Matt, Esquina Adidas are part of 24:7 , an art initiative by ZAZ at 10 Times Square in New York. 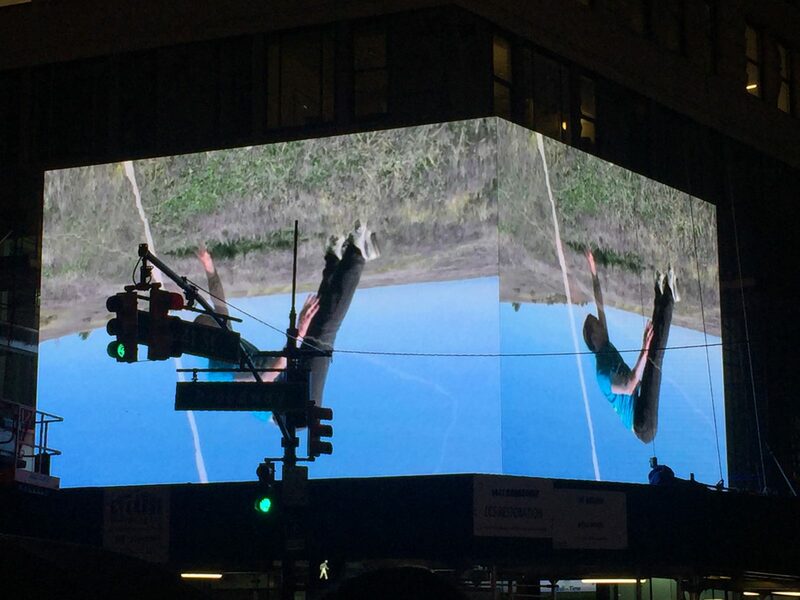 24:7 is a two week video art takeover by an alliance of international artists on the billboard at the corner of 41st St and Broadway (10 Times Square). This project brings together artists from Asia, Africa, Europe, Australia and the Americas and tests the power of art to meaningfully engage the public. 24:7 is produced by Tzili Charney and ZAZ 10TS and is organized by Artis, Ayelet Danielle Aldouby, Tzili Charney, Danspace Project, Tamar Dresdner, Tamar Ettun and Naomi Lev. Works appearing courtesy of Artis and Danspace Project are marked accordingly.